So, get this. We are smack dab in the middle of trying to find a solution for my daughter’s severe acid reflux. So frustrating. It took us several months to even realize that what my daughter was experiencing was acid reflux. She’s ten. Her first symptoms were not wanting to go to sleep – and of course, as parents, we just thought she was avoiding bedtime. And then she started crying whenever she would go to bed, saying she just couldn’t get comfortable… and we still just thought she was fighting sleep. This post is sponsored by Maty’s Healthy Products – we do want to make it clear from the get-go, we are not Doctors. I am just a mom AND we purchased and used this product before accepting a sponsorship for this product. 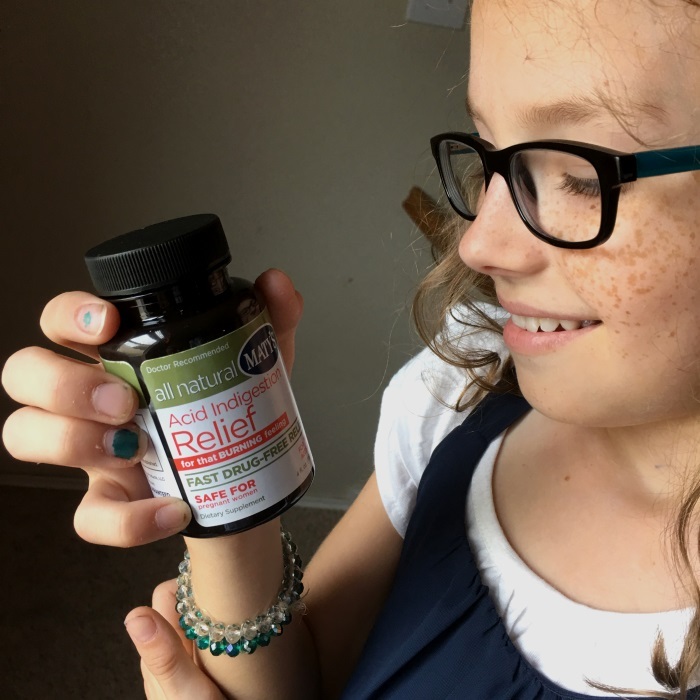 This is our honest opinion and I am grateful to Maty’s for 1) creating an awesome resource for acid indigestion relief and 2) for sponsoring our blog and this post. If you have ever had a child with this issue, you know how sad it can be. Thanks, Maty’s! 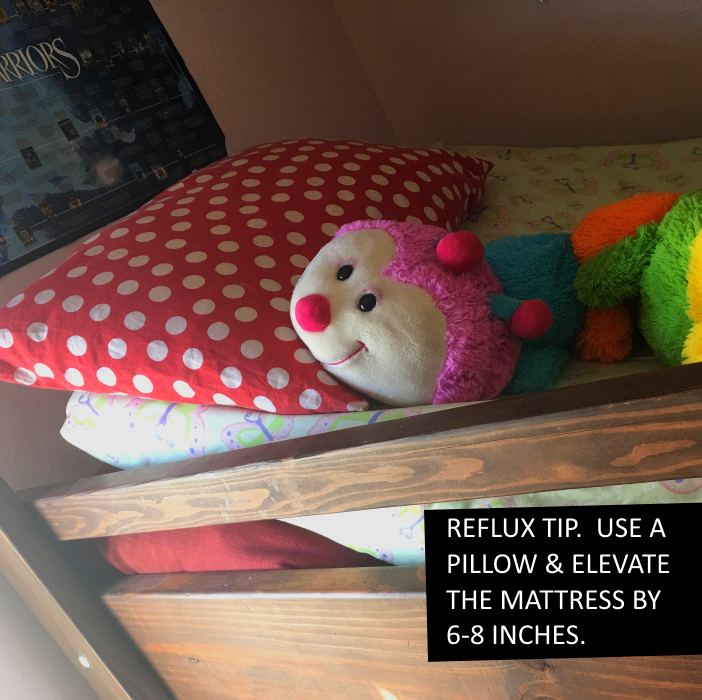 For our daughter, acid reflux is much worse at night, as when kids lay down gravity is no longer helping keep the reflux at bay. I just want her to be better, which is why I have looked at every DIY solution out there to help heartburn. Even the doctors aren’t sure what to do with our little girl, besides strong prescriptions, which neither of us want her on for the long-term (they only want her taking them for two weeks at a time and then taking a break from the meds until it flares up again). Which is why we did our research to look for natural DIY health solutions to help limit heartburn to keep the burning feeling at bay – meaning that we can go longer, and longer between the prescription meds – and hopefully, to get rid of the need for them entirely! I mean, dealing with heartburn as an adult is one thing, but dealing with it as a child can be even harder. 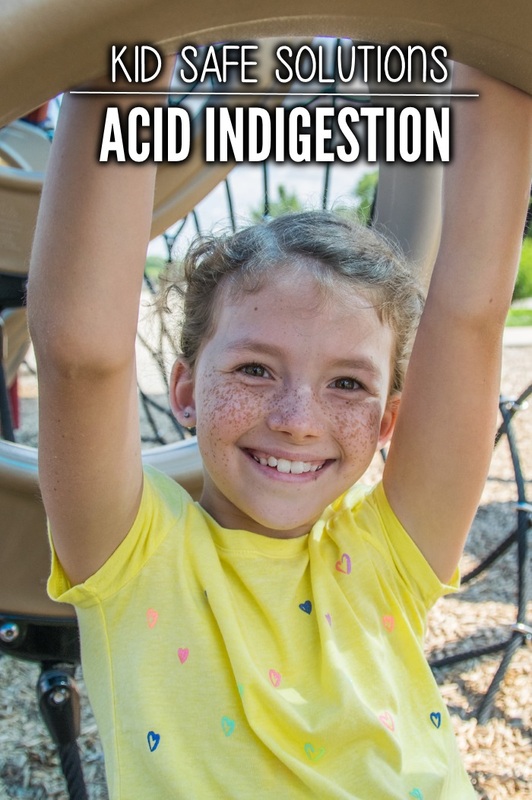 So… how did we know our daughter had issues with acid indigestion?? She was awake and fussy a lot at night. Her breath was rank… she smelled a tiny bit like vomit, especially in the mornings. She was constantly rubbing her chest and didn’t like things to touch her chest. She had a ton of spit and phlegm – and was clearing her throat a TON. She would complain a lot after big meals, especially if they were spicy, had red sauce, or were fatty. It actually took a couple visits to the Dr for them to figure out the issue was reflux. Kids don’t always describe their issues as clearly as adults do – and chest hurting with lots of coughing can be a lot of other things. 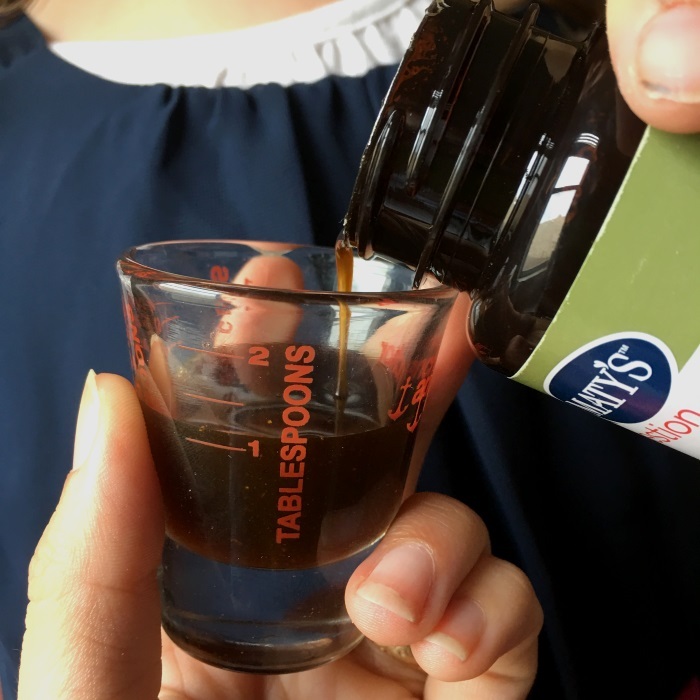 Note: We do still give our daughter meds from the doctor for her condition… BUT these tricks have been hugely helpful in limiting how often we need to give her the “big meds”. Spreading out the more harsh medications has been a huge blessing… we hope to eliminate our need for them altogether in the future! We put a set of giant pillows underneath her mattress to elevate the entire mattress so she is sleeping at an angle and is no longer flat in bed. Using the pillows on top of the mattress and not under it meant that her head was at a funky angle and that just made it worse. She had to have her whole bed elevated. Dealing with severe acid reflux is hard because it may seem like just about everything is causing the reflux. However, in order to naturally deal with it, sometimes you really have to keep an eye on what you eat. By keeping a log of what you eat, you may be able to track what the culprit is causing you the most heartburn. For our gal, spicy foods and fatty foods make her feel worse, and bread and plain carbs made her feel the best – so when she is feeling poorly, she tends to choose bland carbs. Also, don’t eat before bed! This was a big one! We used to have a night habit of cookies and almond milk before bed. Not anymore. Stop eating at least two hours before you go to sleep, this helps her tummy juices be at lower levels in her stomach before she lays down. A great way to keep reflux at bay is to chew gum. By chewing a piece of gum that is sugar-free, you reduce your risk of dealing with severe acid reflux. The best way to get this to work is to chew the gum for at least 30 minutes after a meal. For us this meant that we needed to change our summer routine a bit. We used to bring our lunch with us to the pool and the kids would swim, eat and then swim some more. We began swimming and then coming home to eat. Small changes add up to bring some relief. Finally, the last tip I have for you is to check out Maty’s Acid Indigestion Relief Syrup. This stuff has been a blessing for my daughter, plus my husband and I. 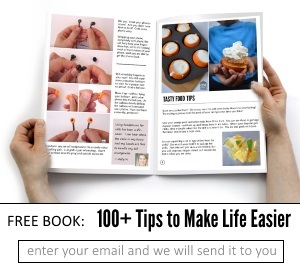 We have been using it for the past three weeks – purchased it BEFORE accepting this sponsored post. It has helped calm her symptoms allowing us to take a much needed break from the prescription strength meds. And our gal wants you guys to know that it has an interesting sweet, but spicy flavor – my daughter is not a fan, but it works (kinda good, right? Means she will only take it if she needs to, right?). The ingredients inside the Maty’s Acid Indigestion Relief include ginger, turmeric, cloves, as well as honey, apple cider and some other things. You can read the full description on their website. When our daughter was going to a slumber party last week and she knew she was going to have issues, she brought her bottle of Maty’s along with her! She told me she took two doses, one after eating and another before she went to bed. Each “dose” is a tablespoon. She told me when she came home that she slept on the floor at her friend’s house! I know that even though she complains about taking it, that she would not have been able to sleep flat like that if she did not have the help of this supplement. It’s nice having it around the house because it’s a natural relief for that burning feeling. It’s also perfect for our family because it is a drug-free relief. Maty’s All Natural Acid Indigestion Relief Syrup uses whole-food ingredients to promote the proper acid levels. It is safe for kids and for pregnancy – so if you or one of your loved ones struggles with reflux, give it a try. Want to learn more? You can find Maty’s on Facebook, Instagram, Twitter and Pinterest. AND they are having a big giveaway which includes a number of natural healing products for the family to help you clean out your OTC cabinet. Check it out!